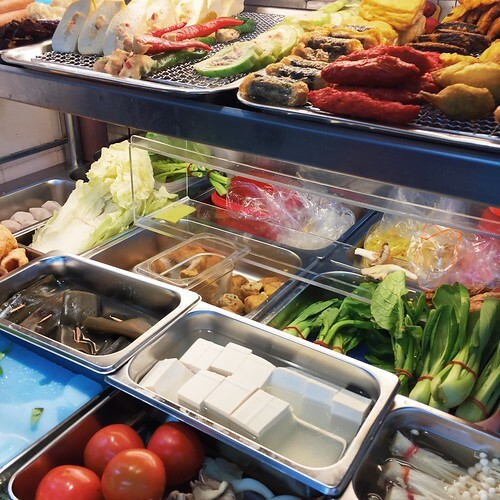 Ever since Victor Veggie stopped selling Yong Tau Foo, we have been searching fanatically for similar vegetarian stalls in the East. Finally, our search concluded with the opening of Auntjade Vegetarian at Jalan Tenaga (between Eunos and Ubi). It was easy to see that Yong Tau Foo was the signature dish of Auntjade, as the ingredients occupied half the stall front. We were impressed with the sweet brown, chilli sauce and fresh ingredients. However, the curry was somewhat watery and not spicy. We thought that the Yong Tau Foo from Auntjade was best eaten with noodles (as shown in the below photo). Great vegetarian Yong Tau Foo were hard to come by. 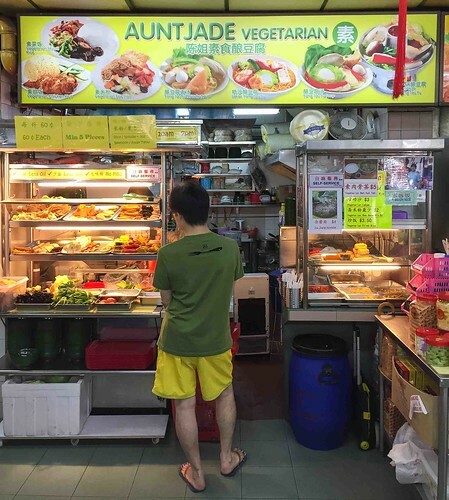 If you were living or staying in the Eastern part of Singapore, you should visit Auntjade Vegetarian for your Yong Tau Foo fix. The downside was that the location was hard to reach by public transport. We have included the opening hours and location of Auntjade Vegetarian online. We took Bus 21 or 60 from Eunos MRT to Auntjade Vegetarian. We have updated the status. Thanks for the info!